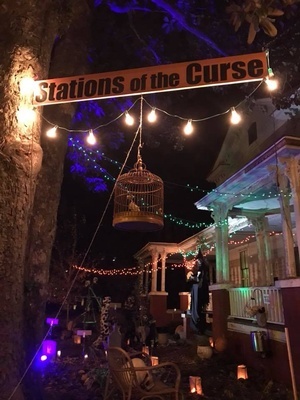 It’s Halloween night, and roving spirits have come together in Tarboro’s spooky Historic District to bedevil the folks dwelling there. Will the town’s plucky trick-or-treaters rout the specters and end their mischief? Rewards for kids who stop at every station, with prize drawings for a few lucky revelers! Pick up entry maps at Home Base located on the corner of Main and East Philips Streets. After you complete the tour of marked stations, return your map to Home Base to enter the prize drawings. The first 100 kids who complete the tour will receive a special prize. October 31, 2018 / 5:30–8:30 p.m.